One Flutter Basic radio board. 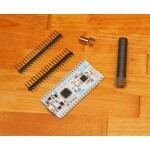 64MHz ARM CPU compatible with Arduino software, with onboard long range wireless. 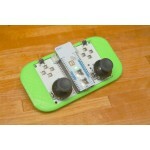 Also: RGB/Multicolor LED, two buttons, battery charging and cryptography. Fully open source. Ships Q1 2015. Only available to US, Canada, EU, Australia and New Zealand. 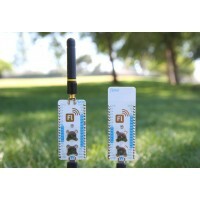 Note: Flutter's wireless is used to connect to other Flutter boards, so you'll need at least two if you want to use the wireless. They do not talk directly to WiFi or Bluetooth devices, but can be plugged into a computer to form a link to the internet that is accessible by smartphones (this feature is still under development). 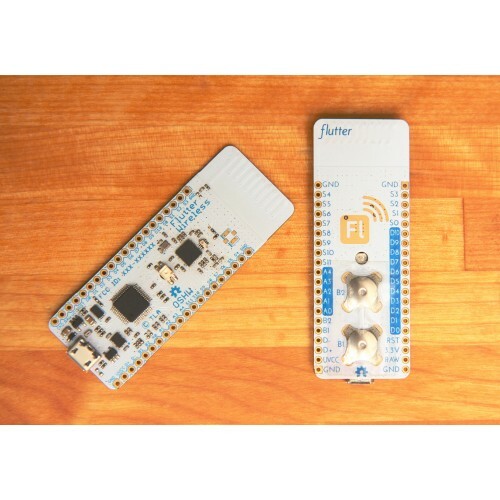 The Flutter Remote Control makes driving cars, drones, or video game characters easy.Includes one fu..